The management of pain from acute injuries is a priority in trauma care. Regional analgesic techniques are very effective at treating acute pain and are gaining in popularity as recognition of their beneficial effects on morbidity increases. 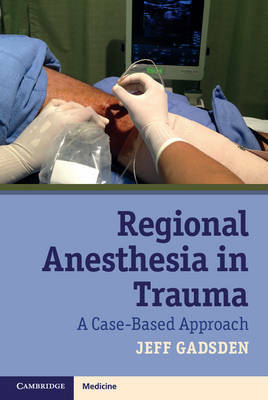 Regional Anesthesia in Trauma employs multiple narrative problem-solving case scenarios that explore the use of regional anesthesia in: • Blunt chest trauma, amputations, upper and lower extremity fractures and spinal injury • Burn injury • Patients with pre-existing nerve injury and other co-morbidities • Patients at risk for compartment syndrome • Pregnant, obese, elderly and pediatric patients • Local anesthetic systemic toxicity With a focus on ultrasound-guided techniques, the reader is guided through the technical aspects of performing regional anesthesia as well as the medical and surgical considerations that influence the choice of analgesic therapy. Regional Anesthesia in Trauma is invaluable for practitioners and trainees in anesthesiology, emergency medicine and trauma surgery.